As you know, every business needs a steady ongoing flow of traffic. Without traffic, you have no new business leads. In order to grow a business, we need more people, more opportunities. It’s important to understand, however, that not all traffic is equal. There is technique involved in attracting the right traffic to your site and converting this traffic to customers. You may have already dabbled in Facebook ads or another paid traffic source and have wondered why on earth no one was buying anything when they landed on your website. 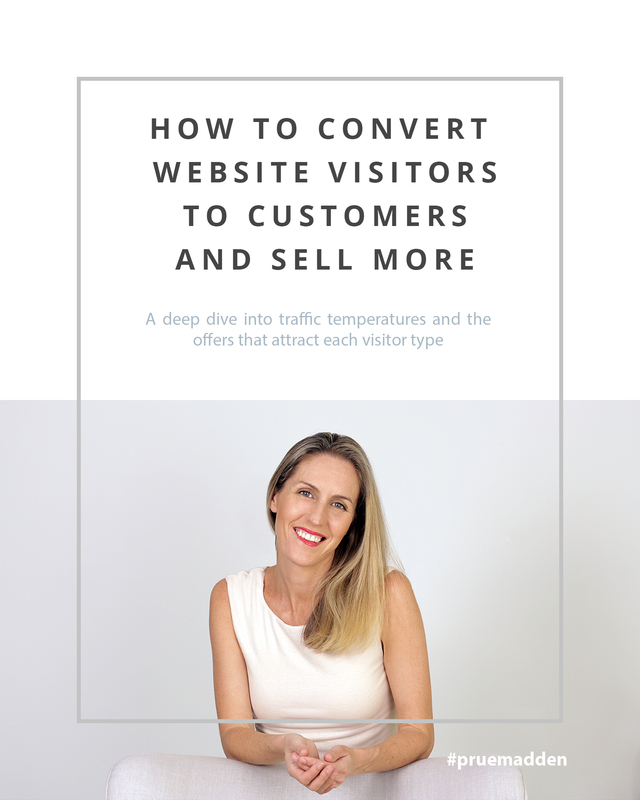 It could be any of a hundred things you have not done right, but more often than not, the first major mistake that people make when starting out with sending traffic to their website is not understanding that different traffic temperatures need to be enticed with different offers, and spoken to in a different way. Let’s explore the three temperatures. 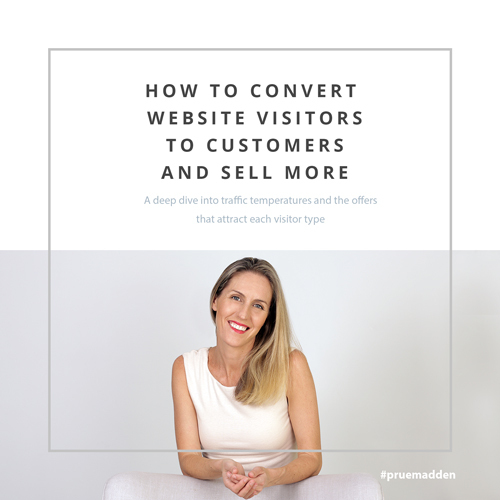 Cold traffic is when a visitor comes to your site and they really are unaware of their need when related to your product. They generally haven’t heard of you before, you haven’t visited the site before, and they have no idea about your product or that they really have a need for it in their life. So let’s take a look at an example. Your product or service may be ideal for them, but they don’t even know that your, or any, solution exists. Now that we have this clear, it is easy to see that cold traffic is the hardest to convert. People who arrive at your site from a Google search, and don’t even know they have a problem that needs to be solved is hard to sell. And then on top of that there is the trust factor… they don’t know they have a problem, so they don’t know they need a solution, so if you try to sell to them as soon as they land on your page, it’s incredibly difficult to sell and build trust in you and your brand and convert from interested visitor to customer in one go. So what offer can you make to entice customers to enter the “next phase” of traffic temperature – how can you make them warm? We need to be strategic about the types of offers we create, to make sure it’s a good fit for their stage of the buying cycle. Selling a high ticket $2000 course to someone who has never even hear of you, puts you on a fast track to lose copious amounts of money on Facebook Ads. The second type is warm traffic. These are people that might be solution-aware. They know they have a problem and that there’s a solution to their problem. They are actively seeking out the solution or they are open to learning about it. So they may or may not have already been exposed to you. They have accessed a free offer, liked you on Facebook or another Social Media platform, or they’ve just visited your website or blog, they are considered warm traffic. Or they may never have come across you, but are aware of the type of product you have and are pretty sure they need it. This is the type of traffic that you can run ads to in order to increase conversations. 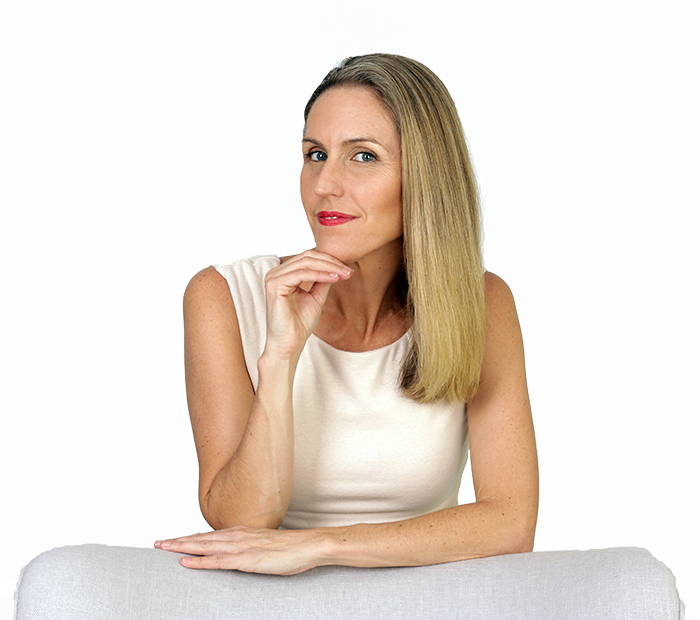 Your goal is to stay top of mind and to give loads of value to give them that final push they may need, or to educate them further on why they need you, or your products or services, in their life. The third traffic type is hot traffic. These are people the people who are searching directly for YOU or your product. They’re searching for your brand, or for your service. They are aware they have a problem, they are aware there is a solution to their problem, and they know that YOU have that solution that they need. With hot traffic, you goal is to now get them to make that purchase, to purchase another product or increase the frequency with which they buy from you, and to see if they may be interested in other product categories, if they have fallen “off the radar”, and haven’t purchased for a while. How do you turn cold traffic into warm traffic? You must find problems that are common to your target customers and start a conversation with them, through content, speaking words that resonate. At the same time you need to work on the relationship – this will grow if you keep talking and listening. Only after you have built the know, like and trust factor, can you expect your leads to move towards the “hot zone”. Your audience can be reached in different ways, online or offline, and using paid or free tools. Social Media, Facebook Ads and email are three of the big guns. Facebook Ads are hugely popular as the level of global audience segmentation available to advertisers is unparalleled by any other platform, and any other time in history. Paid traffic can be used to reach cold, warm and hot audiences, however each traffic type will have different expectations and outcomes, and there is a system to move cold traffic through your funnel so you can assist them in converting from cold to hot status. What systems do you have in place to move your traffic through from visitors to customers?